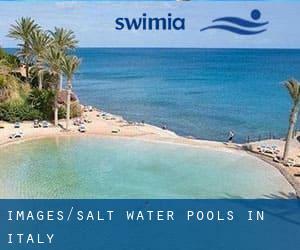 Please have a look to the Salt Water Pools in Italy swimmers like you have reported. Is your pool not listed? Contact us to ADD IT. It's free! Are you a regular swimmer? Do you visit the identical Pools? Please check that all the details for your aquatic center are correct and contact us if you locate any mistake. We currently have the following Salt Water Pools in Italy, but we are often grateful for any corrections or contributions. Get in touch by way of our contact form. Are you on holiday and wish to keep fit and healthy? 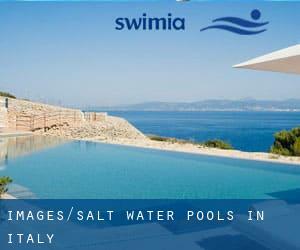 Swimia.com offers you the straightforward and quickest technique to locate pool near Italy. There are often discounts obtainable to senior citizen and smaller youngsters. Discover by contacting your nearest pool in Italy. The ideal pools to swim are definitely indoor olympic pools. It's difficult to visit Italy without having dropping by Milan (with 1.306.661 residents). Presently Swimia is showing you all the Swimming Pool in Milan as well as the closest pools located in its vicinity. Swimming is a outstanding idea to keep your body active during your visit to Naples (Italy), or even for anyone who is a local. Swimia helps you to discover your closest Swimming Pool in Naples. Holding an estimated population of 865.263, Turin is one of the most important cities in Italy. Check all the Swimming Pool in Turin and its surrounding region. Let us tell you a secret to switch off although you are in Rome: just choose a Swimming Pool in Rome and plunge into the water! There's no a lot more productive strategy. Updated on 2019 Corso Matuzia 9 , San Remo (Postal Code: 18038). This sports center offers 25 meters, Salt Water, Indoors. For this Swimming Pool, only phone number is number here. Updated on 2019 Via Bongiovanni , Taormina . This sports center provides 25 meters, 6 lanes, Salt Water, Indoors. Contact information for this Swimming Pool including phone number and email address are number. Updated on 2019 Giudecca 10 , Venice (Venezia) (Postal Code: 30133). This sports center delivers 32 meters, Salt Water, Outdoors. For this Swimming Pool, only phone number is number here. Updated on 2019 Via Modena , Viareggio (Postal Code: 55043). Few days ago a typical user of this center told us they offer 25 meters, 6 lanes, 1.8 meters depth, 1.8 meters depth, Salt Water, Outdoors. Furthermore, they keep in good conditions Olympic size, 3 lanes, Outdoors. For this Swimming Pool, only phone number is number here.